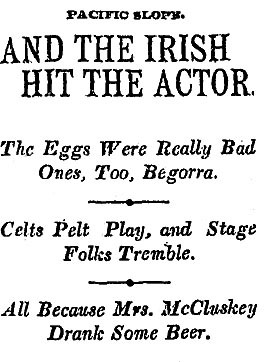 The Irish of San Francisco are furious over a play at the Davis Theater called “The Belle of Avenue A,” which features a character named Mrs. McCluskey who drinks a glass of beer in the first act. “Three times, about 40 people charged the stage and the actors and actresses feared they were about to be attacked,” The Times says. 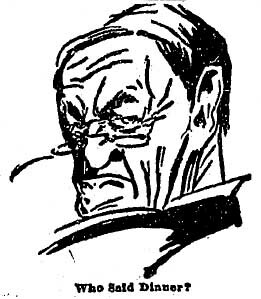 The riot was reported to the police and the protesters were eventually thrown out of the theater. 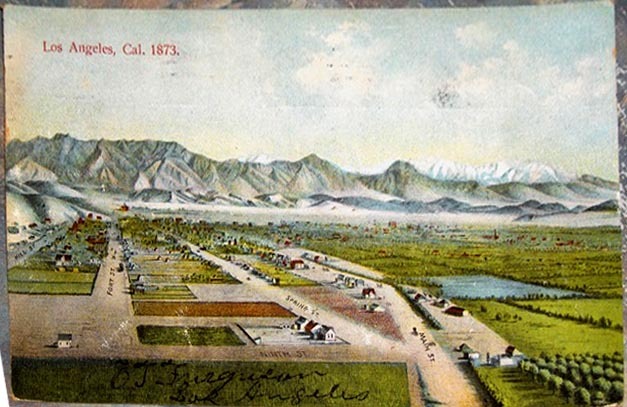 Los Angeles, before the days of Google Earth, at the junction of Main Street, Spring Street and 9th Street, 1873.